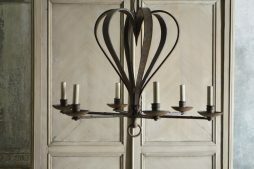 French Loft | Interior Boutiques – Antiques for sale and mid century modern furniture, french furniture, antique lighting, retro furniture and danish furniture. Rowland realised his was an unusual enthusiasm for 6am starts to scour the antique fairs and French markets - he is a buyer at heart and he has a great eye for outstanding and creative finds. 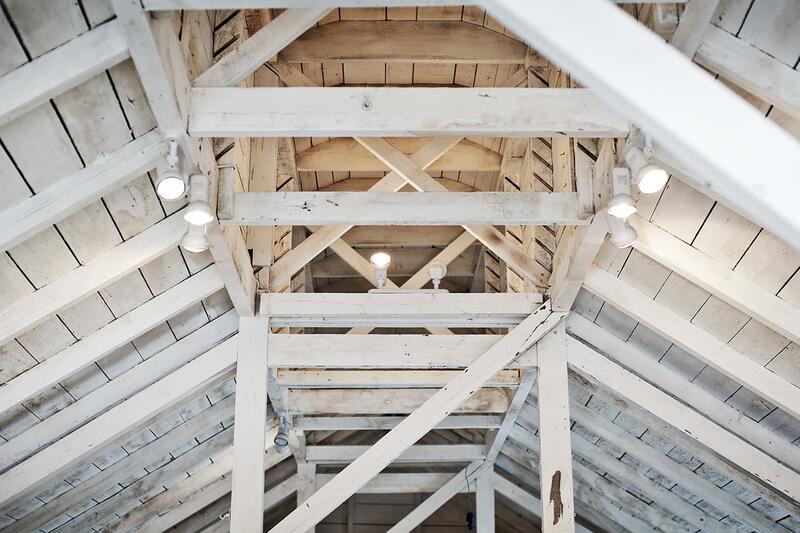 French Loft, the name given to the interior design, furniture and home goods business, is based in an old brewery building, in a quiet street a stones throw from Arundel medieval castle. The chosen objects which fill the warehouse are a personification of Rowland's taste - the faded French 19th Century armoires, Marie therese chandeliers, and the reupholstered Louis XVI style chairs. Rowland does things in a fantastically unsnobbish way and his approach to design is very levelheaded. It's never about the latest thing, but where beauty and utility are intrinsic to objects you like to see, touch and use everyday. 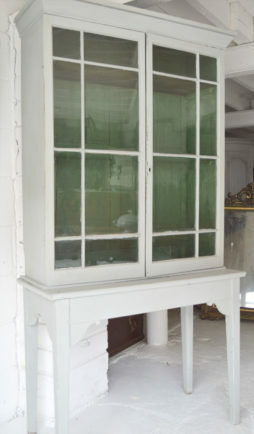 Elegant English cottage glazed front dresser. 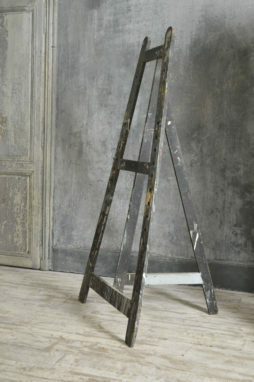 19th Century French oak artist Easel. 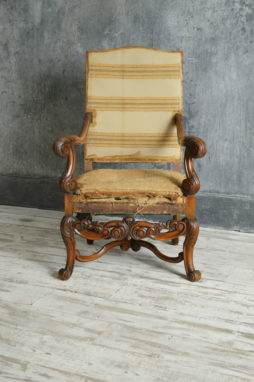 In original condition with plenty of character and patina. 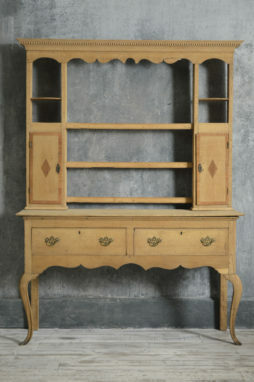 English country dresser with elegant lines. Two inlaid cupboards. 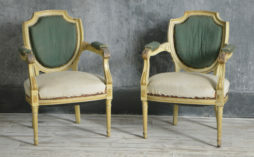 Pair of Louis XVI painted and gilded fauteuils. 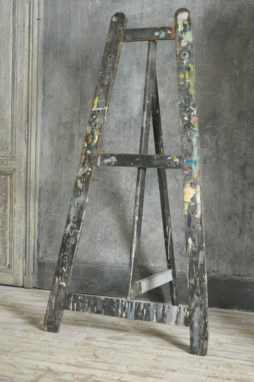 Beautifully made, heavy and sturdy in construction. Ready for recovering. 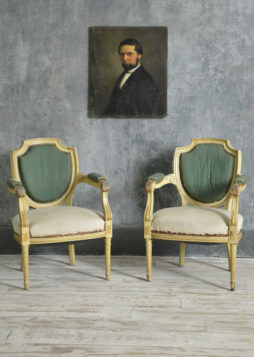 fantastic patina to these with traces of old paint in some areas. We have four pairs available. 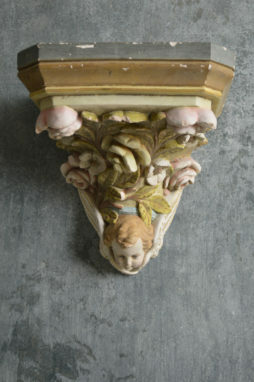 Very unusual French Ecclesiastical corbel. 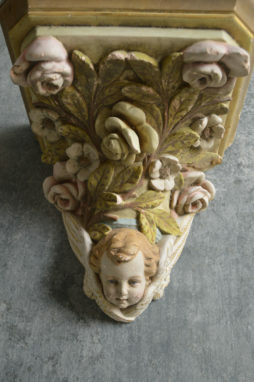 This Polycrome plaster angel plinth would look great on a plain wall for display. 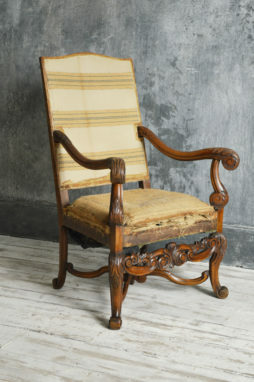 Louis XIV carver with great carving of Acanthus leaves on the arm rest. 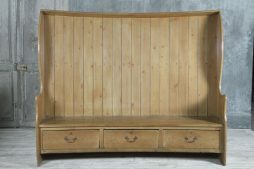 19th Century Bacon settle made of Pine. 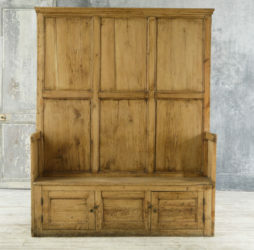 19th Century Bacon settle made of Pine with three small cupboards under the seat. 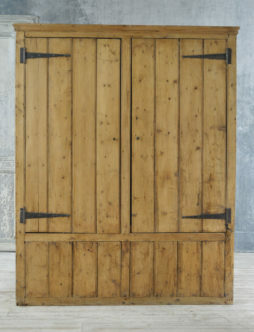 On the flat back a large double lockable cupboard with original hooks. 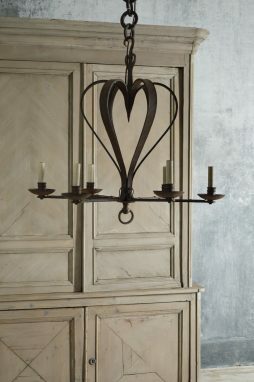 Bastille chandelier by Vaughan designs Ltd. Rust finish and six lights. 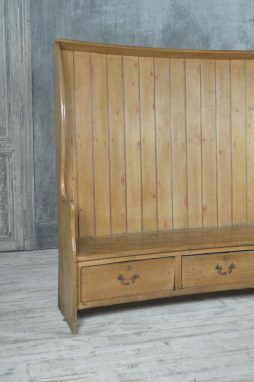 Fabulous Antique pine settle with drawers. 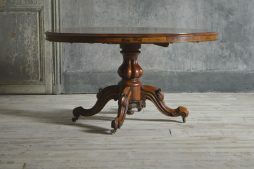 Victorian Walnut veneer dining table with beautifully carved legs on scrolled feet and brass castors. The top is Burr walnut. The condition is very good. 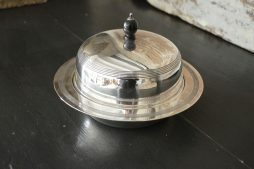 Turn of the century three piece Mappin and Webb muffin warmer. 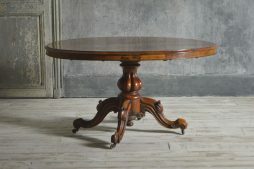 Reeded design to the domed top and base with mahogany finial. 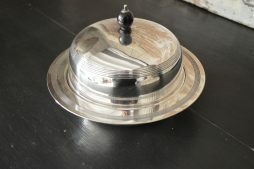 In great condition and good quality silver plate.